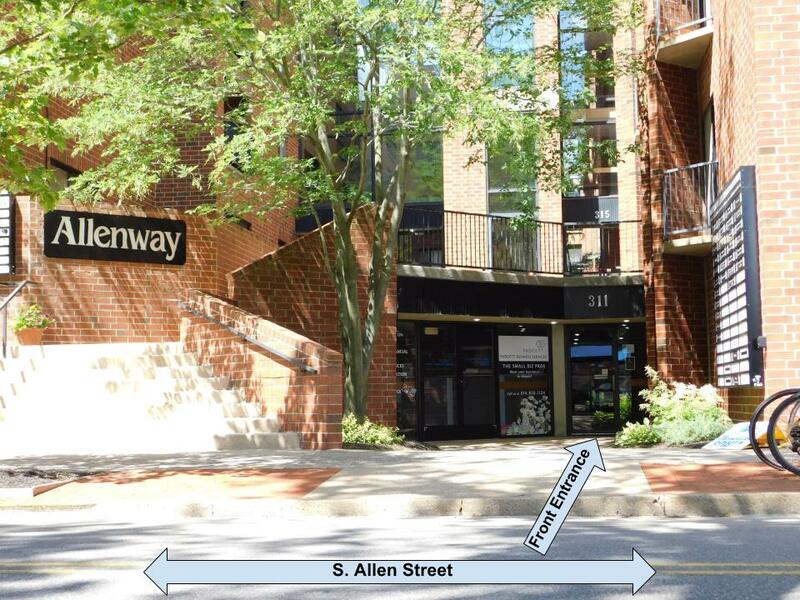 ​ We are located conveniently on the ground floor of the Allenway Building in Downtown State College, PA. There are 7 free visitor parking spots in the Allenway parking garage near it's southern entrance at S. Allen and Bird Alley. If visitor parking is full, you may use parking spot #35 which is adjacent to the visitor parking area. Also, there is plenty of metered parking available on S. Allen St. and Nittany Ave. We are happy to reimburse you for parking fees incurred while you are receiving a service with us.
. Downtown State College can get very busy with PSU traffic and events. To avoid congestion on College and Beaver avenues, consider one of these alternatives. If traveling in on Atherton St: Turn East onto W Nittany traveling 7 blocks. Turn left on to S. Allen. Enter parking garage by turning right onto Bird Alley and an immediate left. If traveling in on East College Ave: Get off at the University Dr. exit and turn left at the light. After the next light, turn right onto Foster Ave. 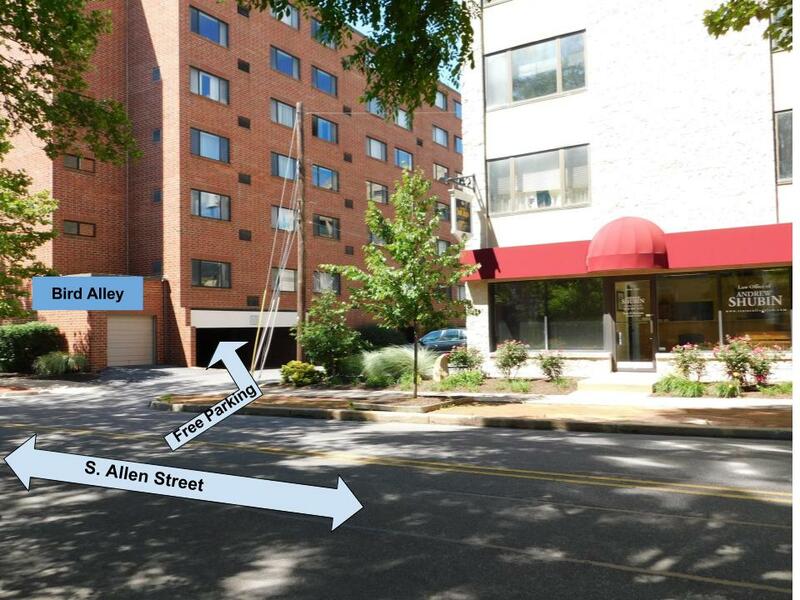 The Allenway will be on your left approximately 7 blocks down. Enter the parking garage and turn left to find visitor parking.